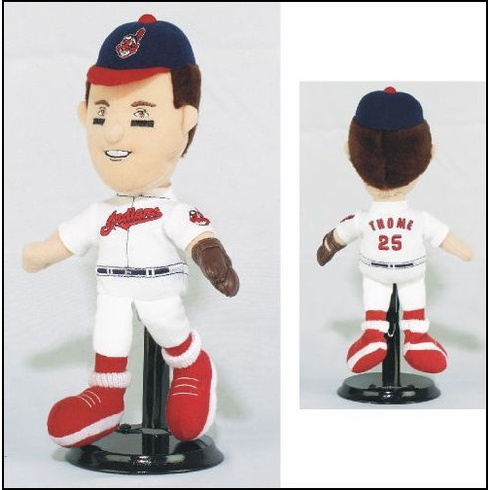 Jim Thome Cleveland Indians 10" Lookalike Plush Collectible by Highlight Starz. ~ Includes original hang tag! (not pictured in manufacturer's photo.) Condition of hang tag not guaranteed...this line of collectibles was retired over 15 years ago! ~ Stand is not included!